Denton and Reddish MP, Andrew Gwynne, celebrated young engineering talent at an event hosted in Parliament last week. 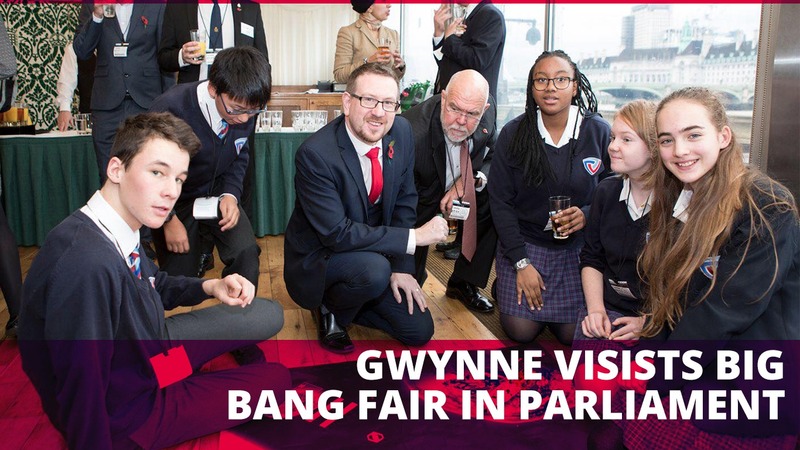 To celebrate Tomorrow’s Engineers Week, Gwynne joined EngineeringUK as they hosted a Big Bang Fair in Parliament to showcase the diverse scientific talent from across the country. Finalists in The Big Bang Competition from 10 schools from around the country came to Parliament to showcase their entries to MPs, Peers and people from across the engineering community. Four sponsors of The Big Bang Fair also attended the event with tasters of a few interactive STEM activities including virtual reality headsets. “I was hugely impressed by the vast array of talented individuals from schools across the country – I’m sure I met some of the engineers and scientists of the future at the event.